Take a thrilling ride on a world-class yacht. Ever dreamed of being in the America’s Cup? The professional team from America's Cup Sailing Experience will help to bring your sailing dream to life. 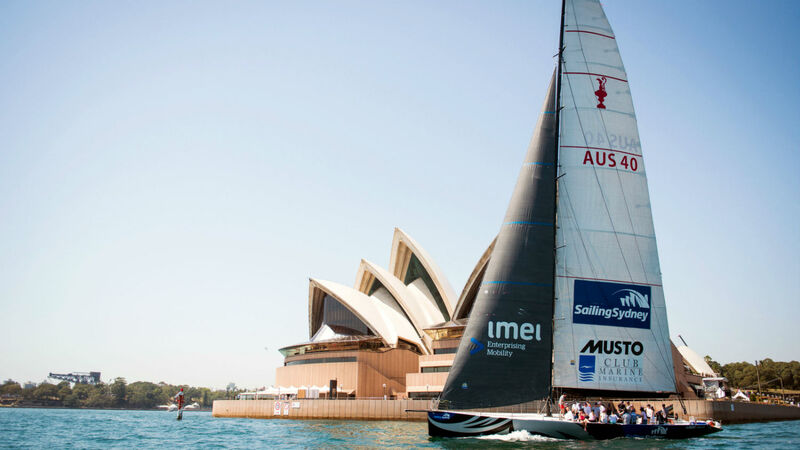 With a professional team at the helm, you’ll cruise Sydney Harbour aboard an actual America’s Cup Yacht. With the famous sights of Sydney as your backdrop, you can help hoist the mainsail or kick-back and enjoy the wind in your hair as the 75ft yacht slices through the water. With no experience needed, this is the perfect yachting experience for groups. The best news? Pontoon Bar at Cockle Bay Warf is just a short walk from where you will dock and is the perfect place to get your land legs back with a post-sail drink.